A police and crime commissioner announced the appointment of his new deputy two days before the decision was blocked by the police and crime panel. 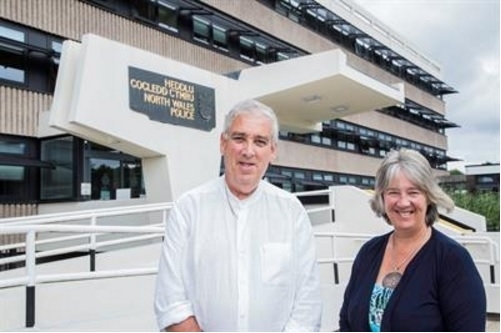 North Wales PCC Arfon Jones, a former inspector with more than 30 years’ service, put a statement on his website announcing that child protection specialist Ann Griffith “had been unveiled” as new holder of the £42,000 a year post. Despite adding that the appointment would be considered at a meeting of the police and crime panel two days later, Mr Jones seemed to have taken the decision for granted, saying he “was delighted to be able to appoint a deputy commissioner of such high calibre”. However, the appointment was blocked at the beginning of the subsequent police and crime panel meeting, with members apparently questioning the transparency of the process and raising concerns about Ms Griffith’s plans to remain in her role as a Plaid Cymru councillor. In his letter of recommendation, Mr Jones said Ms Griffith’s experience as a senior social worker provided her with the skills required for the role, highlighting her work investigating child abuse and neglect as a real benefit. He added that the fact she was a fluent Welsh speaker from north-west Wales provided “gender and geographical balance”. Following the meeting, Mr Jones said he was “disappointed” the panel did not agree with his choice but cited legislation which means that although members can review the appointment, they have no power to veto it. “The final decision about appointing a deputy is that of the commissioner,” he told PoliceOracle.com. “Having said that, I will consider their report very carefully and discuss the matter with Ann before responding to the panel.